After a long wait, Clinique has released their autumn bonus, and I rushed out to pick one up after I saw it advertised in the Hudson’s Bay flyer. I have no idea what happened this spring, but I seemed to completely miss the bonus release, so my list of products to shop for has been growing since last autumn. To qualify for this bonus, I picked up two shades of the newly released Matte Pop Lip Shadow that I wanted to try. Stay tuned for a full review of the lip shadows on the blog soon. The two choices for this bonus were Eyes, or Lips and Cheeks. Because I am terrible at making decisions, I got the Eyes bonus first and have since sent away for the Lips and Cheeks one as well, along with a few of my holy-grail products I have run out of. Sometimes I use these bonuses as a chance to try out new products before investing in a full size, but this bonus is filled with trial sizes of a bunch of my tried and true favourites. I was especially excited that the eyeshadow in this bonus was the Strawberry Fudge duo since it was one of the first Clinique duos I ever owned, and it feels so nostalgic to own it again. Plus, the brown shade is a near-perfect match to my eyebrows and makes for a great brow filler in a pinch. Also, this Kapitza bag is gorgeous, and it’s the perfect antidote to the dreary rainy weather Vancouver has been getting lately. I have so many of these bags but this one struck me as extra pretty, so right after I took the photo for this post, I moved all my makeup into it. All in all, I am very happy with this bonus, and I can’t wait for the Lips and Cheeks bonus to arrive in the next few days. Aside from my Montréal Travel Diary that I posted back in March, my blog and social media have been all but abandoned for the past couple of months, and I wanted to dedicate a post to updating you all about my life. I applied to graduate school back in February, and at the end of March I received my acceptance letter to the University of British Columbia’s Masters of Science in Speech-Language Pathology program. I am really excited for this new chapter of my life, but it means I’ll be moving to Vancouver and leaving my hometown behind, which scares me when I think about it too much. At the same time I received this news, my grandmother’s health was rapidly declining and she was admitted to the hospital on Easter Monday. My mother and I visited her everyday and held her hands as she died six days later. My grandmother was, and still is, one of the strongest and kindest women I know and I can only hope that I become half the woman she was. 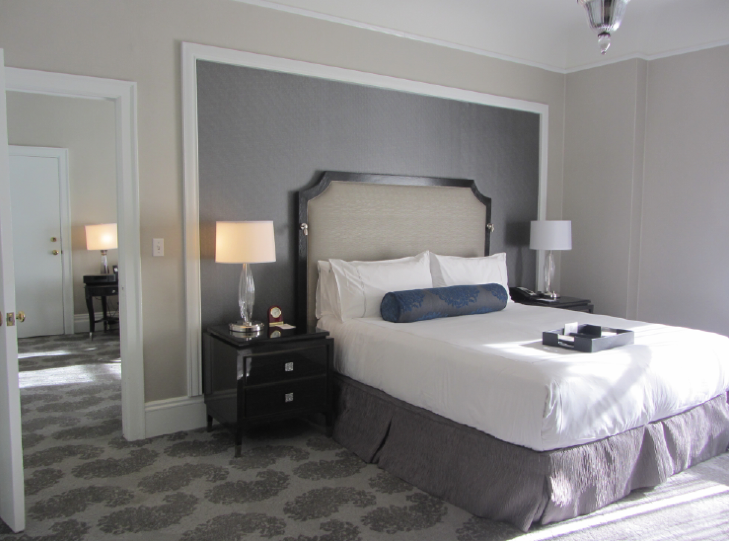 A week later, I flew out to Calgary, needing to get away from everything for a little while. 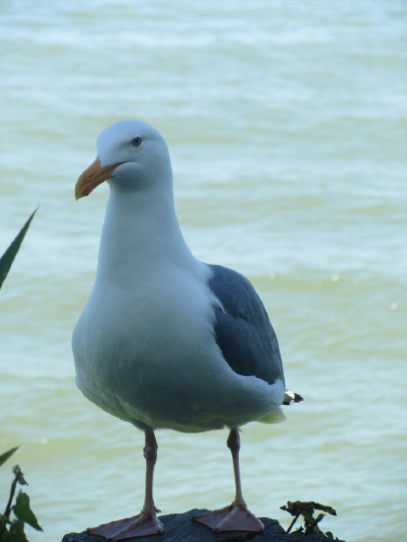 And who do you think I saw there? If you guessed Scavenger Hunt Boy who I met in Montréal, you’d be right. His name is Mike, by the way. I spent eight days with him in his hometown of Calgary, exploring all the tourist spots and even venturing to Banff and Lake Louise. Mike is the light at the end of the proverbial tunnel to me, and makes me happier than I thought I deserved to be. I met him when I was at my lowest following a devastating heartbreak, and he has shown me only kindness and patience as I process it and move on. If heartbreak was the price of meeting him, I would pay it ten times over. Once I got back, I started full-time work at my summer job, and that has taken up the vast majority of my time. At the end of June, I graduated university with a Bachelor of Arts in Psychology with a Minor in Linguistics, and immediately started planning out grad school in Vancouver. Real-estate is brutal as it is, and finding somewhere to live in Vancouver is near-impossible. I ended up finding an apartment and moved in at the end of July (stay tuned for an apartment tour post). Then in August, I attended the North American Parkour Championships with Mike, and even learned a little bit of Parkour myself. The biggest takeaways from that weekend were that 1) I have a lot more muscles in my body than I ever felt before, 2) everyone who practices Parkour (called traceurs) has insanely sculpted abs, and 3) there really needs to be an online resource for people whose significant others do Parkour, something like “So, Your Boyfriend Does Parkour – Now What?” This is still a work-in-progress title though, because there are so many amazingly talented female traceurs and the resource would also be for male partners looking to understand the practice a little better. While I don’t think I’ll ever be NAPC-level, I think it could be fun to try out some Parkour sometime. After all, I have the perfect teacher. Finally, In 7 days and counting, I will start grad school and I am simultaneously excited and nervous. This is an incredible new chapter of my life, but it means leaving the old ones behind, and I have never been very good at letting go. With this new chapter beginning, I want to keep up with blogging. I’ve never been very good at sticking to one topic though, so bear with me as my content goes from beauty product hauls and reviews, to book hauls and reviews, to fashion lookbooks, to bullet journal spreads, to university life, to wherever else I decide to take it. When life gives you choices, I like to select e) all of the above (I am aware I already have 5 options listed above but the phrase doesn’t work with selecting f – just go with me on this one). So here’s to a (hopefully) great academic year and a fresh start on this blog. Whether you have been with me since yesterday or since the very beginning, thank you for your love and support. It means the world to me. Sorry again for my absence, but I promise I am back for good this time. At the end of February, I was lucky enough to attend the Golden Key International Honours Society Leadership Summit in Montréal, the largest city in the Canadian province of Québec. 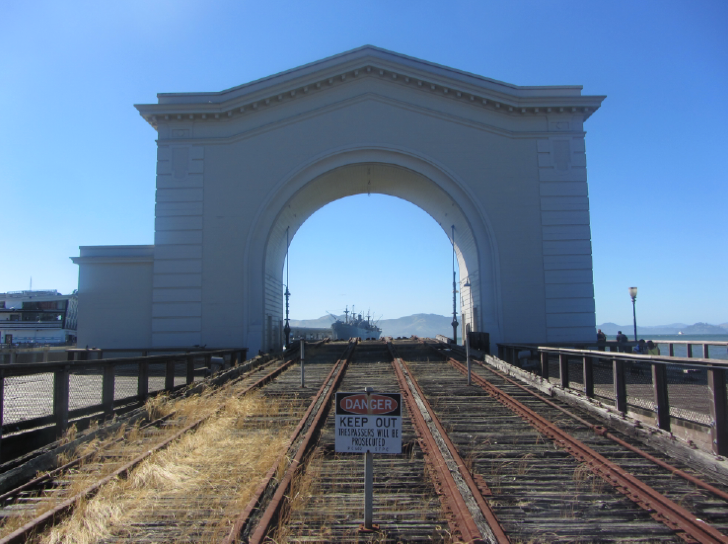 While the summit itself went from the 23rd to the 25th, I arrived on the 21st and stayed until the 26th so I would have time to adventure around the city. This trip was extra special in that it was the first time I had travelled completely by myself and arrived in a place where I didn’t know anyone. 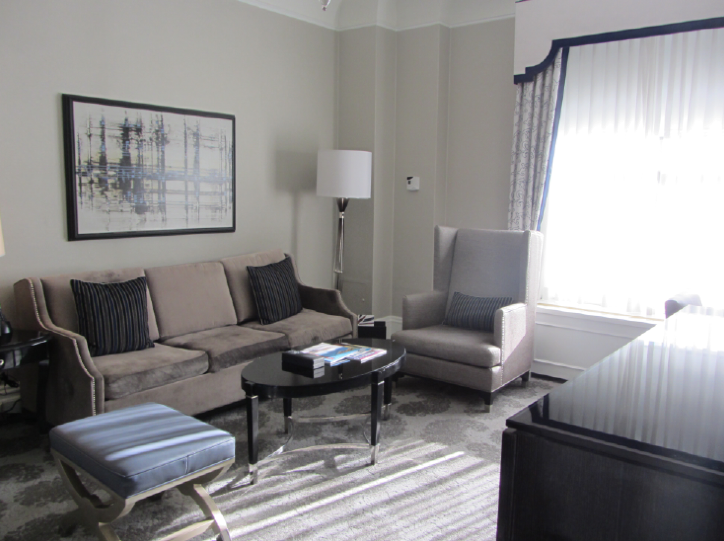 I arrived in Montréal late on the 21st, got checked into the Marriott Château Champlain where the conference was to be held, and then headed to the hotel restaurant for some dinner. I decided on poutine, a classic French-Canadian dish of french fries, cheese curds, and gravy. I don’t know whether it was the time difference, exhaustion from travelling, or mental fatigue from recent life stress, but I slept for most of the 22nd before venturing outside with a peppermint mocha from Starbucks in hand to wander the city. What I wasn’t smart enough to clue into was that -4 degrees is really cold, especially for a West Coaster like me who is always cold. After wandering for about two hours without a hat or a scarf, I returned to the hotel and indulged in some ravioli and wine to warm me up. Friday morning I set my alarm, got up early, and embarked on a mission to find the Notre-Dame Basilica in the heart of Vieux-Montréal. It was absolutely gorgeous inside and I arrived just in time for the hourly English tour of the Gothic Revival structure. 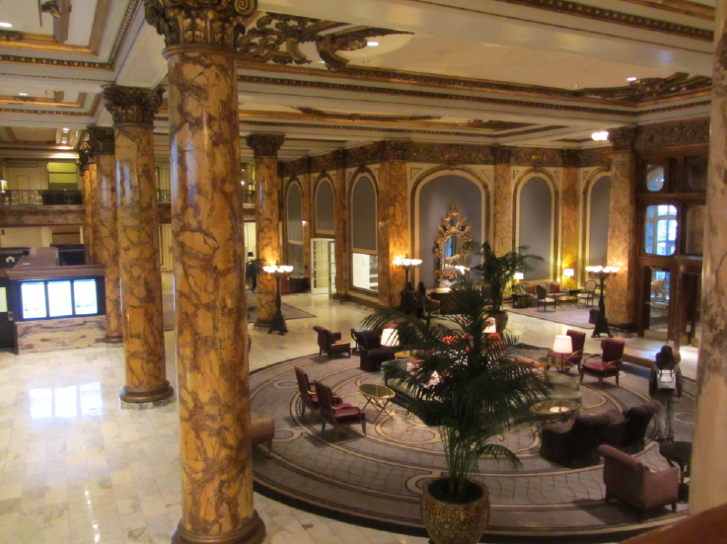 By the time I got back to the hotel, I had just enough time to freshen up before heading down to the lobby to check in for the summit. At check-in, we received swag bags and then were randomly grouped with student representatives from other universities to embark on a city-wide scavenger hunt. I ended up in a group with two people from Mount Royal University in Calgary, Alberta, and they were both so nice. That night was a scheduled networking night so all the people registered for the summit went out to Thursday’s Pub for drinks and appetizers. Now, this is where things got interesting. One of the two people from Mount Royal University with whom I did the scavenger hunt was a boy, and not just any boy, but a really nice one. He walked back to the hotel with me so I wouldn’t be walking alone in the dark in a strange city, and we ended up talking basically all night about anything and everything. Saturday was filled with interesting keynote speakers and workshops delivered by professionals from a wide variety of backgrounds. That night, everyone went out for dinner at Weinstein & Gavino’s, where I had one of the best chicken dishes I have ever eaten. Sunday morning I headed out to wander Vieux-Montréal and the Old Port, but about 8 minutes in, freezing rain started pelting down. Most people probably would have turned back, but not me; I just kept walking, letting the rain hit me in the face, determined to see Vieux-Montréal and the Old Port. There definitely wasn’t much to see in the pouring rain, but the city was still beautiful to be in. 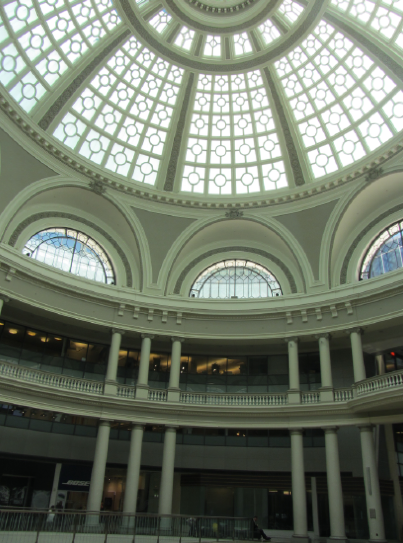 When I arrived back at the hotel, I got changed, hung my drenched clothes to dry, and met up with Scavenger Hunt Boy to visit the Musée Des Beaux-Arts. The museum has these really neat red heart statues out front, which were one of the scavenger hunt items that our group didn’t find but I wanted to see. Plus I wanted to spend as much time with him as I could. For dinner, he and I found an Italian restaurant called Monza, which offers family-size portions at the individual portion prices on Sundays, so we feasted on a massive bowl of mushroom pasta. After dinner, we found the hotel pool and went for a nice swim to work off some of the pasta. And then at around midnight I got hungry again so we heated up the leftover pasta and realized too late that we didn’t have any forks so we ate it with coffee stir sticks from the coffee set-up in my hotel room. Monday was bittersweet as I packed up all my things. I was looking forward to being back at home, but it meant I had to leave Scavenger Hunt Boy behind. It may sound silly that in three days I grew so attached to someone, but I did. He and I have talked every day since we met, and I am planning to head out to Calgary to visit him soon. I know this travel diary is extremely late, but I still wanted to share this trip on my blog and to showcase some of the amazing sights in Montreal, as well as share how I met the most incredible person. The only upsetting part of the trip was that it didn’t snow once!!! I was all excited to play in the snow and all I got was freezing rain. Not only that, but apparently it snowed back home the day I flew out. Clearly me and the snow just weren’t meant to be. I have missed blogging SO MUCH these past few months, and now that university has started up again and I was a complete fool and enrolled in 6 courses, my time has been monopolized by studying and work. 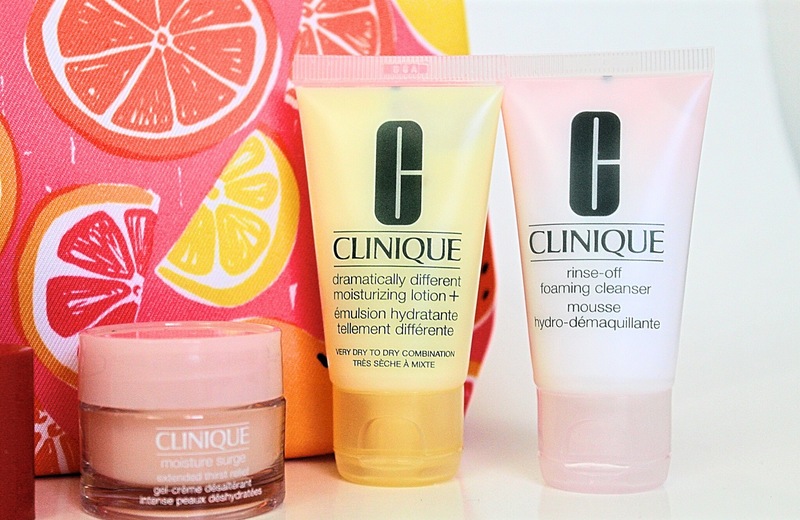 But Clinique released their Fall 2017 bonus recently, and I have been dying to gush about it. To qualify for this bonus, I picked up a Take The Day Off Makeup Remover for Lids, Lashes & Lips, along with a Clinique Happy Gelato Cream in Berry Blush. This bonus offered two colour collection choices, Sunrise (left) and Sunset (right), featuring different chubby sticks and eyeshadow and blush shades. Sunrise included an All About Shadow/Blush Palette in Foxier + Mink, and Cupid, and a Chubby Lip Colour Balm in Mega Melon. Sunset included an All About Shadow/Blush Palette in Like Like Mink, and Sunset Glow, and a Chubby Lip Colour Balm in Super Strawberry. Despite the amazing shades of this bonus, my favourite part if definitely the three-dimensional geometric tiled cosmetic bag, designed by Jonathan Adler, the American potter, designer, and author. All of his designs are modern yet chic, and I would love to have them in my home. 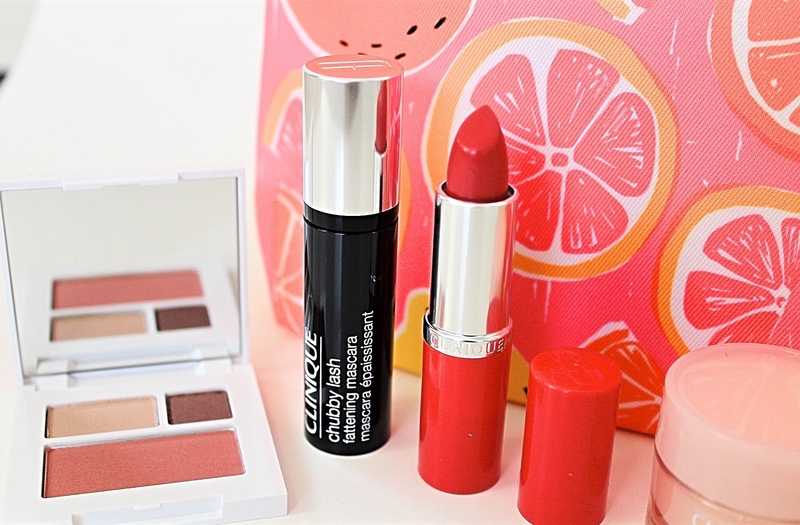 What Clinique products are you bringing out this autumn??? First off, I am enrolled in two summer classes. The first, neuroanatomy, is online and is wickedly difficult, spanning the entire four months of summer. I just did my second online midterm last Wednesday and my self-esteem still has not fully recovered. The second class is cultural psychology, which is condensed into one month with lectures three times each week. I love the content and the professor is such a lovely person. I had the first midterm for that class last Friday and I feel pretty good about it. I am also working full-time at the same job I have had for the last four summers. While it varies across countries, full-time employment is defined in Canada as working 30 hours or more per week at one&apos;s main or only job. Well, from July 1-15, I worked just over 97 hours. Balancing school and work has been a real challenge for me, and while it means I will only have one more university term to go before I graduate and I can start saving up for graduate school, I have not had much time for anything else. That being said, a few weeks back, my friend Travis and I got together to celebrate his 29th birthday and tried our hand at making chocolate soufflés. I think they actually turned out pretty well. Preheat oven to 350 degrees F. Lightly butter a 1 1/2 quart baking dish. Lightly coat with sugar, tapping out excess. Set dish on a rimmed baking sheet. In a large heatproof bowl set over a pot of boiling water, combine chocolate, vanilla, and water. Stir until chocolate is melted and mixture is smooth. Takes about 10 minutes. Then remove from heat and let cool to room temperature, about 20 minutes. Separate egg whites from egg yolks. Then stir egg yolks into cooled chocolate mixture until well combined. This is your soufflé base. Set aside. In a large bowl, using an electric mixer, beat egg whites and cream of tartar on high until soft peaks form, about two minutes. Then gradually add sugar and beat until stiff, white peaks form, about five minutes. Do not overbeat. In two halves, fold egg-white mixture into soufflé base. To do this, use a silicone spatula to gently cut through the centre of the base and lift up some from the bottom of the bowl. Turning bowl, continue to cut down and lift up base until just combined. Transfer mixture to baking dish, ensuring none gets on the top edge of the dish. Smooth top. Bake soufflé until puffed and set, around 30-35 minutes. DO NOT OPEN OVEN during first 25 minutes of baking. Then SERVE IMMEDIATELY. Travis and I actually made two smaller soufflés in baking dishes I gave him as part of his birthday present, thinking they would be about the right size for individual soufflés. They were bigger than I thought, but any size or number of baking dish(es) would work for this recipe as long as the mixture reaches just below the top edge. Do not be fooled by all the talk about how difficult they are to make. It was actually really easy and we had so much fun. We only ended up eating one soufflé right away, and by the time we finished, the second soufflé was a perfect example of why recipes say to serve them immediately: they really do collapse. Have you ever made soufflé before??? Let me know in the comments below!!! 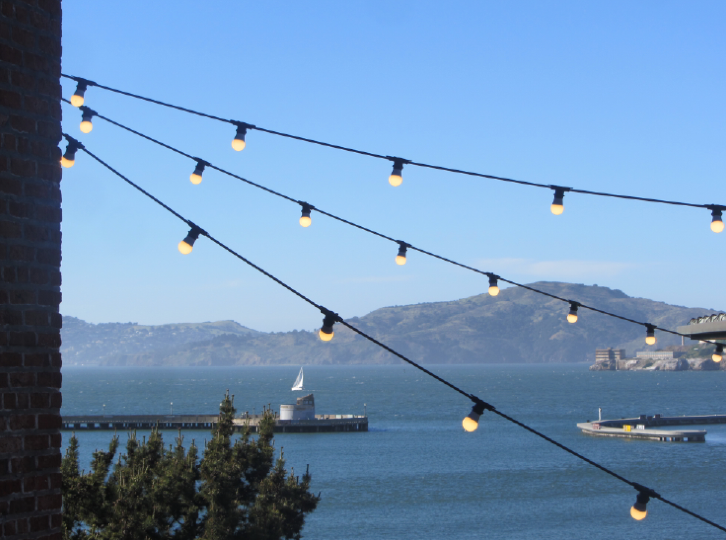 If you follow me on Instagram, you probably noticed a lot of San Francisco pictures, since I was there a few weeks back. 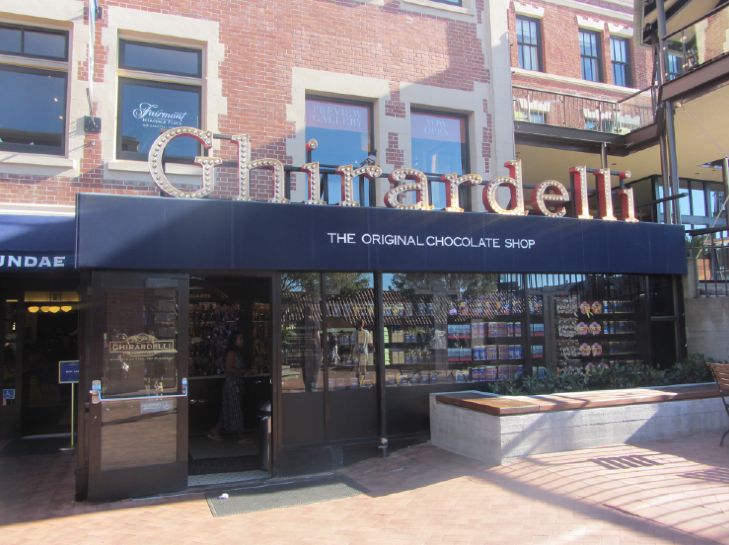 I started up at work again so my days have been pretty packed, but I had an incredible time and I wanted to share some of the highlights of my trip here on the blog. 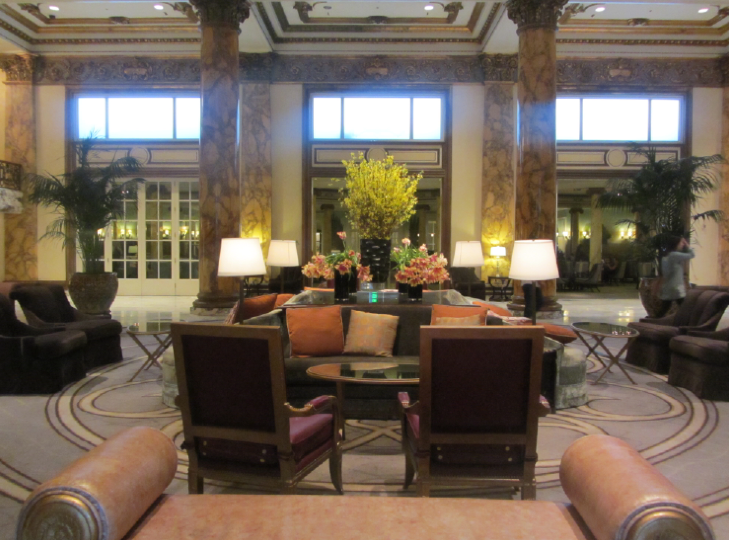 My mother and I landed in San Francisco in the late afternoon, so we spent the evening exploring the hotel and I got some amazing pictures of the lobby. 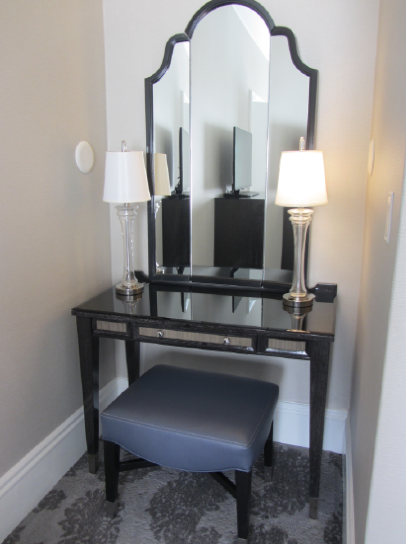 We were also upgraded to a suite, compliments of the hotel, so we had way more space to move in and there was a makeup table. I cannot express how excited I was that I could do my makeup at an actual vanity. 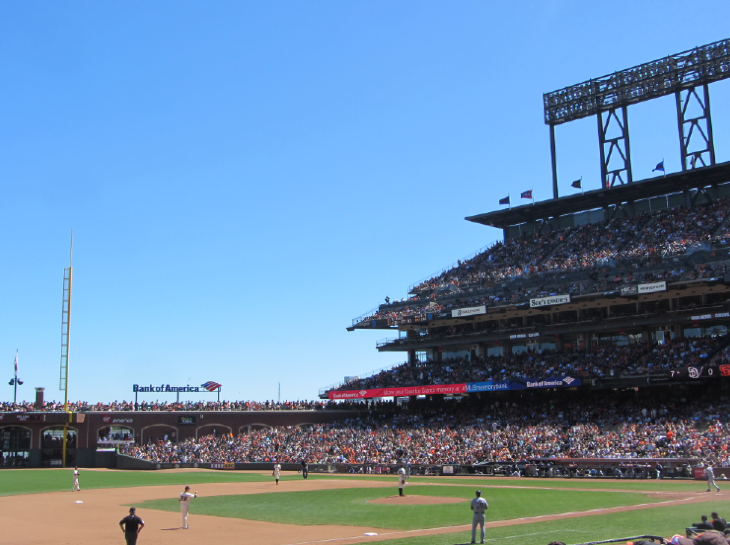 Sunday was almost entirely dominated by a baseball game at AT&T Park between the San Francisco Giants and the San Diego Padres (Obviously I am a Giants fan). The game went a whopping 12 INNINGS and in the blistering hot sun I was so grateful the elderly woman a few seats over shared her sunscreen with me. Otherwise I would have been a radish for the rest of the trip. The Giants lost 5:2, but it was still an incredible game. 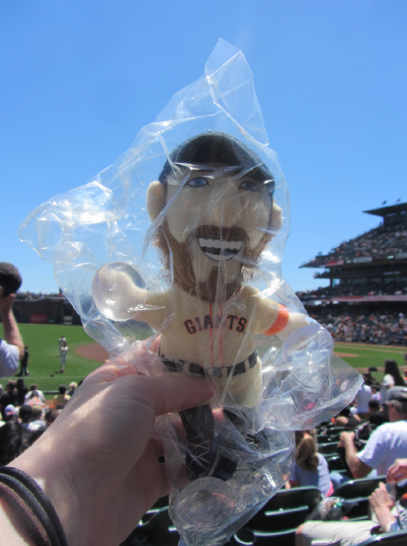 As an added bonus, the first 20000 fans into the park received a plush window cling of Hunter Pence, the San Francisco Giants’ right fielder. 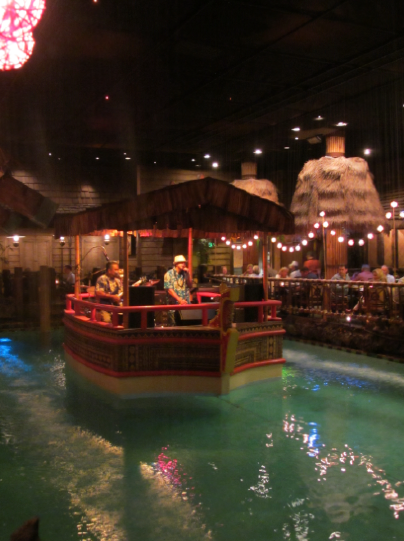 For dinner, we headed to the hotel’s famed Tonga Lounge and Hurricane Bar, which actually has a floating barge in the centre of it upon which live music is played. There are even sheets of rain” coming down around the barge sporadically. Monday was the über busy sightseeing day of the trip. We started out by getting a little lost in Chinatown thanks to me turning the wrong way down Mason Street when we left the hotel. Luckily we corrected our path soon enough and still got to see some of the neat features of Chinatown. 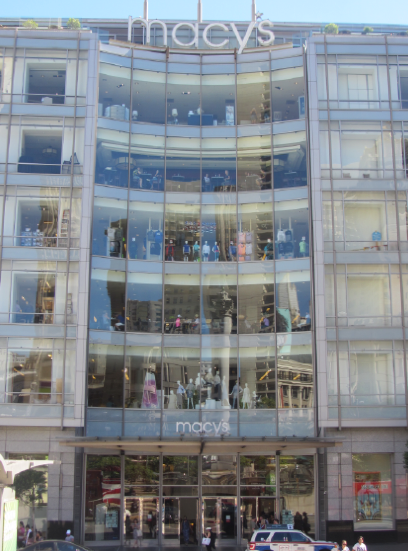 We then hopped on a cable car to Union Square, home to a massive Macy’s store. 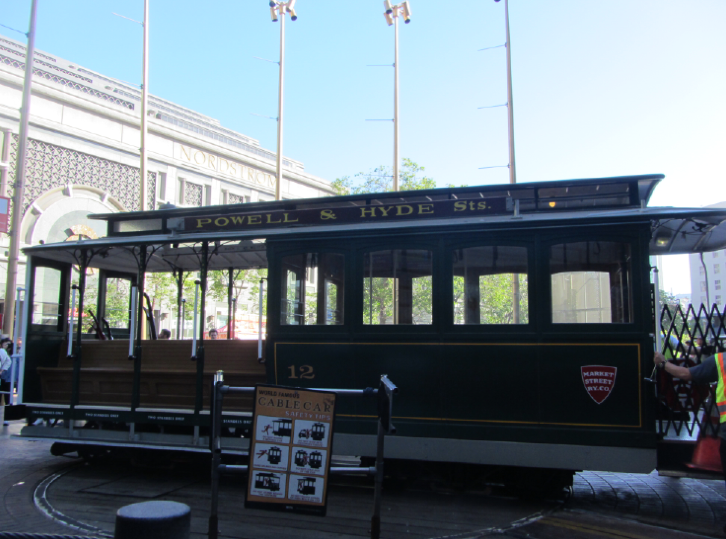 After exploring the square, we boarded another cable car and got off at Lombard Street, the crookedest street in the world with 8 hairpin turns!!! 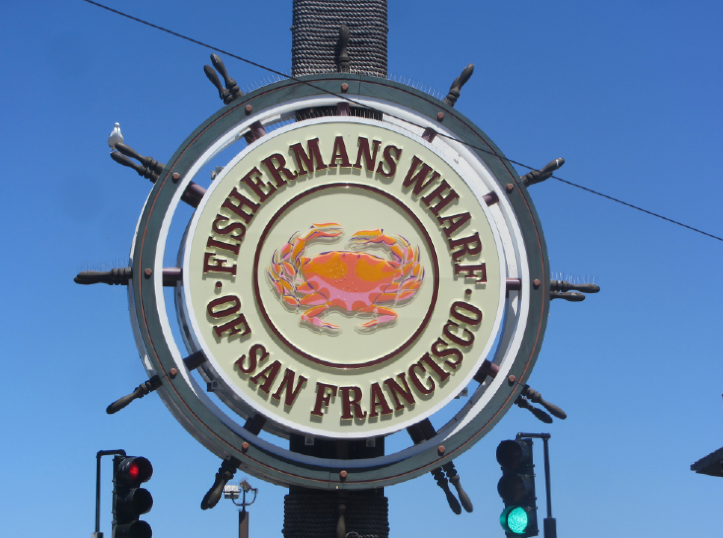 From there, we walked to Fisherman’s Wharf and wandered through all the shops and eateries. Despite all the fresh seafood we could have had for lunch, I convinced my mother to try an American institution with me: In-N-Out Burger. 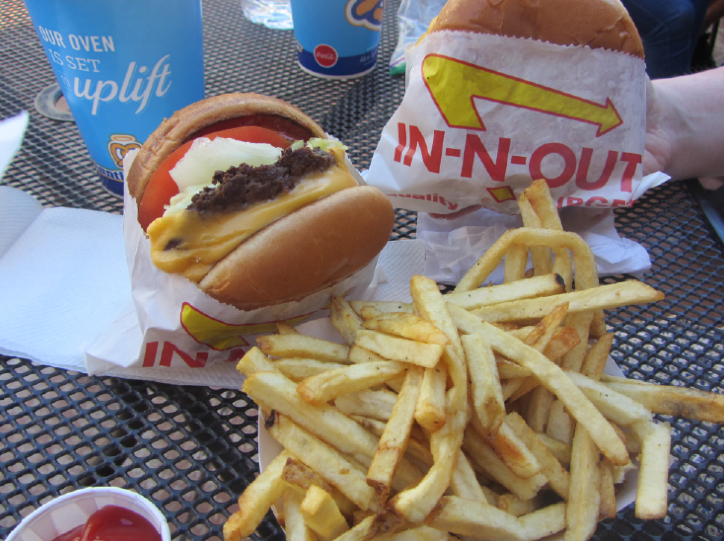 The burgers are actually so good!!! 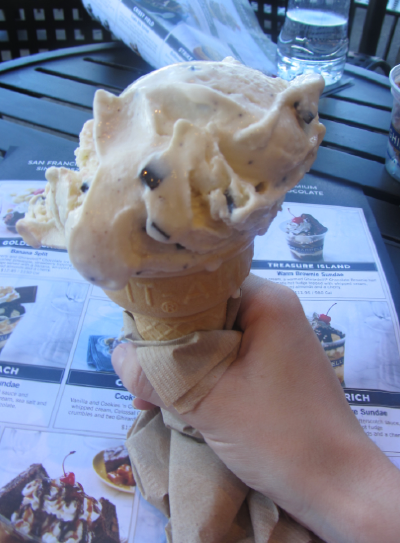 After refuelling, we headed over to Pier 39, and finished off the day with ice cream in the famous Ghirardelli Square. 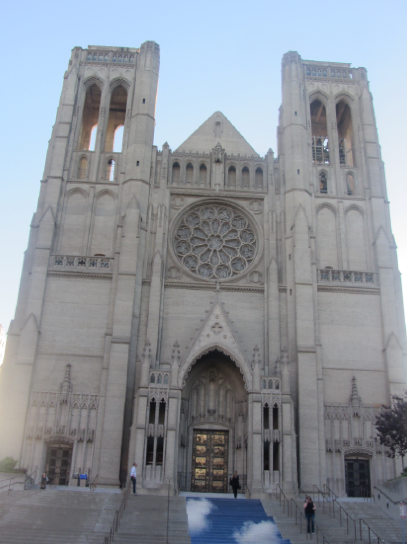 By the time we got back to the hotel, we were exhausted so we didn’t go into Grace Cathedral, but it was so beautiful that I had to snap a photo of it. 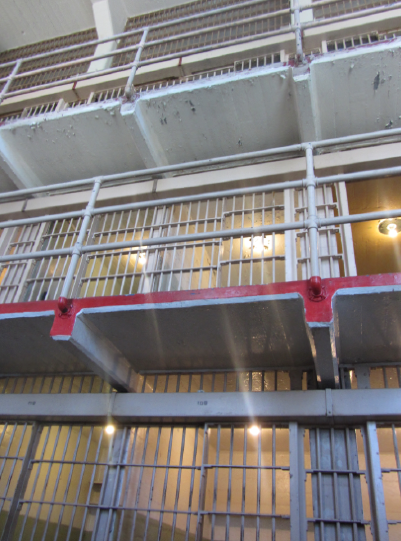 On Tuesday, my mother and I went over to Alcatraz Island, which served as a Federal prison from 1934 to 1969. 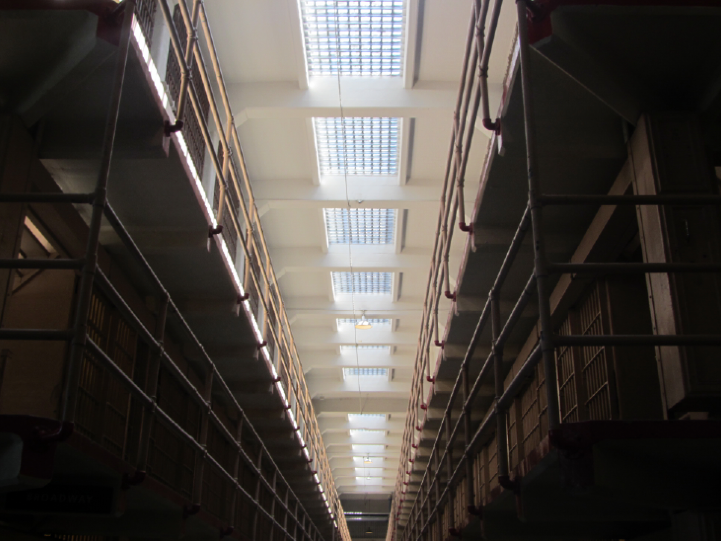 This prison was home to some of the most infamous criminals like Al Capone, Alvin “Creepy” Kari’s, Robert Franklin “Birdman” Stroud, and George “Machine Gun” Kelly. 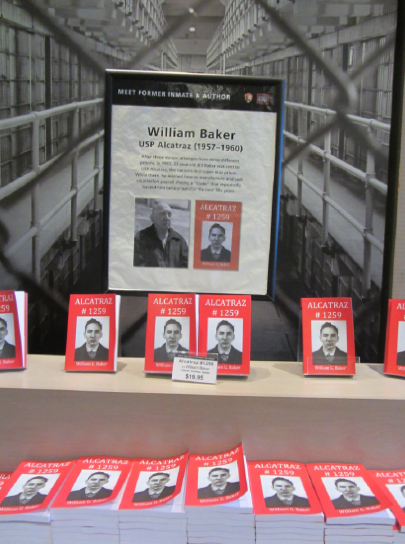 Interestingly, because the prison staff lived and worked on the island, many children called Alcatraz Island home and seldom ever knew prisoners were nearby. 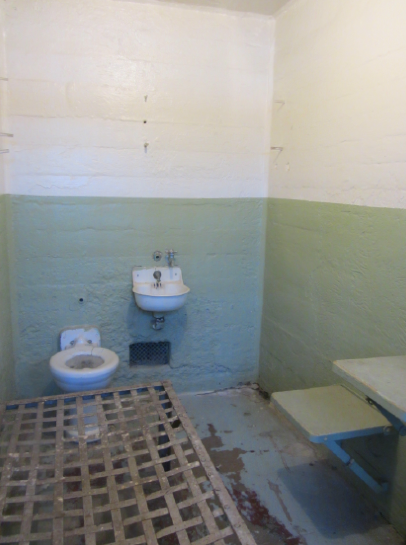 While several escape attempts were made, it is believed that no prisoner successfully escaped. Wednesday and Thursday were dominated by shopping around Union Square and Westfield Centre, and I scored some incredible deals on dresses and shoes (even with the terrible exchange rate of the Canadian dollar). 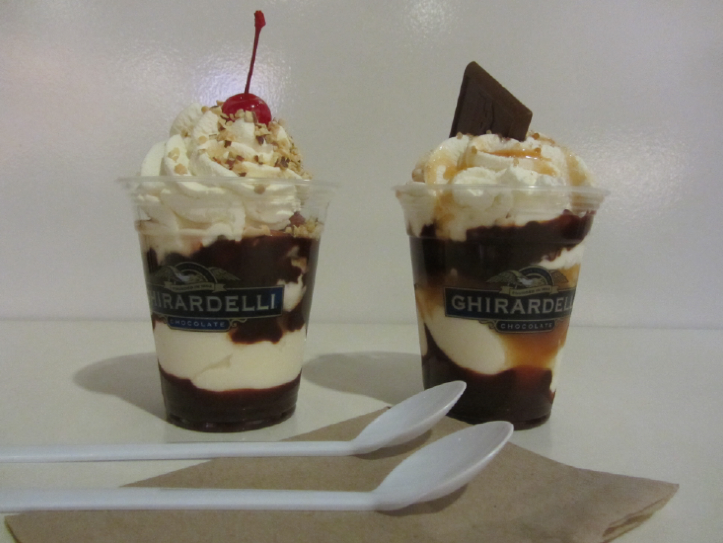 We also had some delicious Ghirardelli chocolate sundaes for lunch (healthy, I know). I was sad to say goodbye to San Francisco and it’s beautiful weather on Friday morning, but I was looking forward to sleeping in my own bed again and, of course, seeing my fur baby. 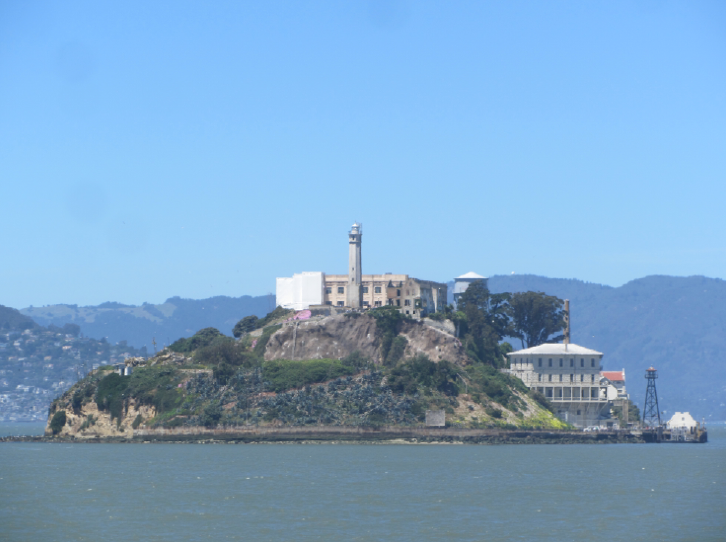 I know this travel diary is extremely late, but I still wanted to share this trip on my blog and to showcase some of the incredible sights in San Franscico. 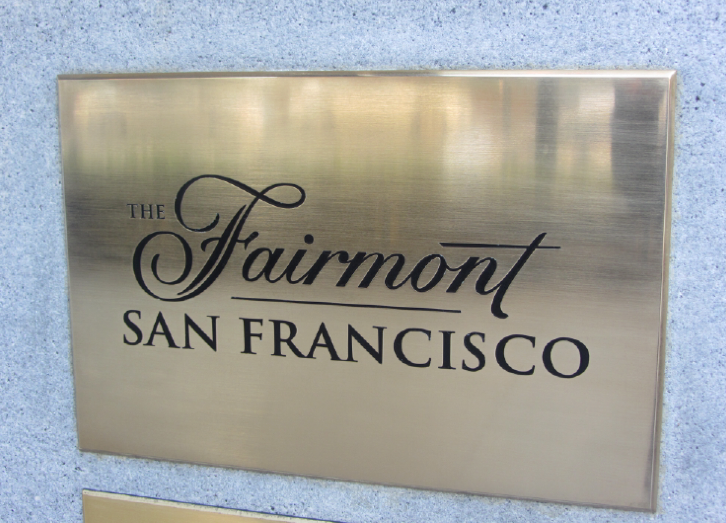 Have you ever been to San Francisco??? What were your favourite things to see and do??? 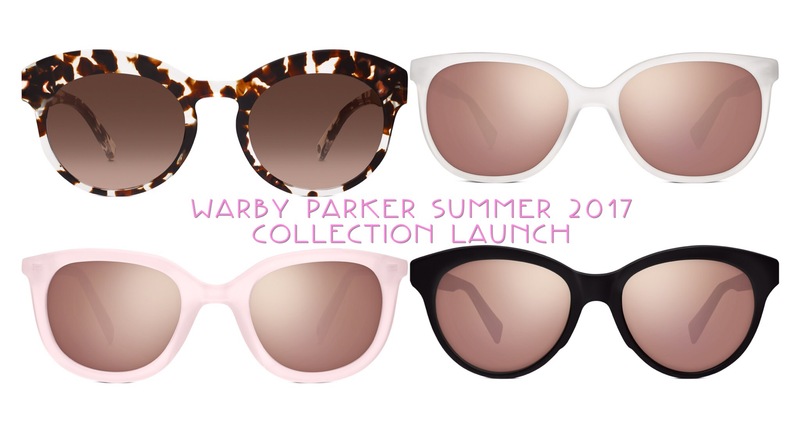 Today Warby Parker releases its Summer 2017 collection of sunglasses, and I am helping announce it!!! I consider sunglasses to be a staple summer accessory, wearing them religiously to protect my retinas, and I literally leapt with excitement when I saw the designs and colours in this collection. Before I delve into praises, a little bit about Warby Parker the brand. This company was started by college students who recognized the limited availability of eyewear that was both stylish and affordable. Having worn glasses since the young age of 5, I have experienced this same problem, often having to choose between frames that fit my budget and frames that fit my personal sense of style. Warby Parker frames combine these two elements of eyewear in numerous designs for both prescription glasses and sunglasses. Not only that, but for every pair of glasses sold, Warby Parker donates a pair to someone in need. Currently, Warby Parker stores are located in 22 states and in Ontario, Canada, but of course they can be shopped for online and tried on at home. Now onto the collection. 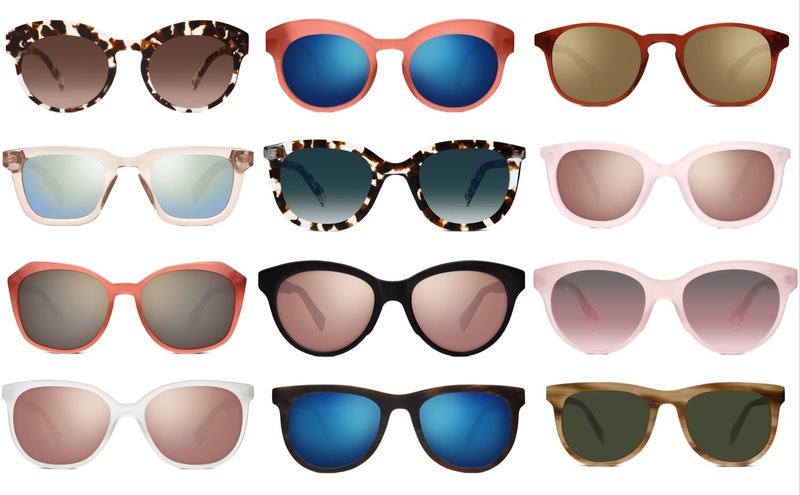 This collection features 12 new frame styles inspired by 1960s fashion. 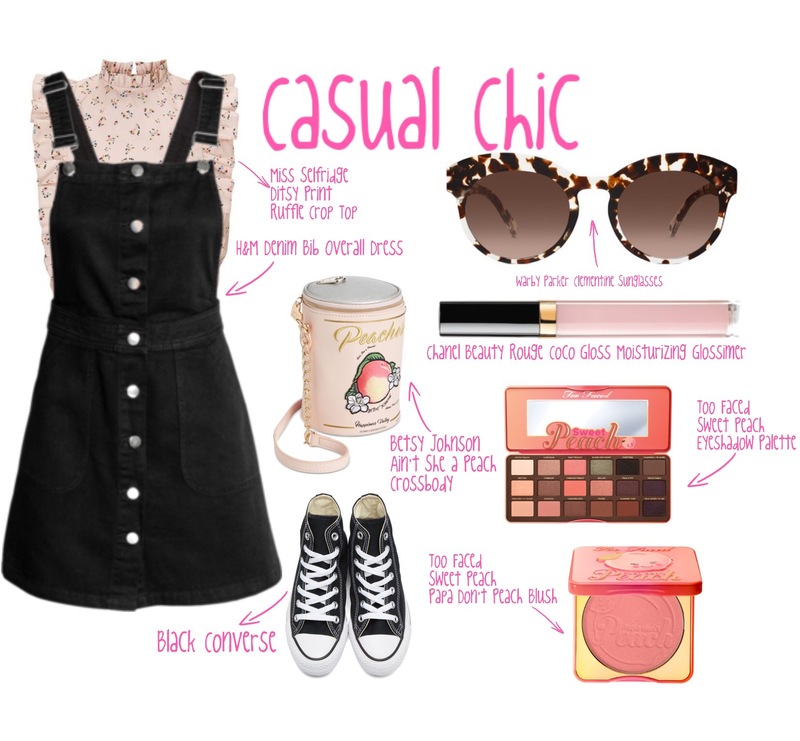 Drawing inspiration from this decade during which pricy couture was replaced by cheap casual wear seems quite apropos given Warby Parker’s mission to design mod yet reasonably priced eyewear. The vibrant yet sun-soaked hues of this collection’s palette are absolutely gorgeous, including weathered wood, beach grass, taupe and rose crystals, and, of course, ever-classic black. While I focused on only a few frames, below is a collage of all of the new frame styles and colours included in this collection. Let me know in the comments below which are your favourites!!! April is always a crazy month with university classes ending and final exams starting, but the end of this term seemed extra hectic. I don’t know if it was all the group projects or the massive papers but it felt like April dragged on for far too long. Don’t get me wrong, I love what I am studying, but by the end of classes I am ready for a break and my exams went right until the second-to-last day of exam period. I have missed blogging and I am so happy to be getting back to it with a post about my new go-to mascara. 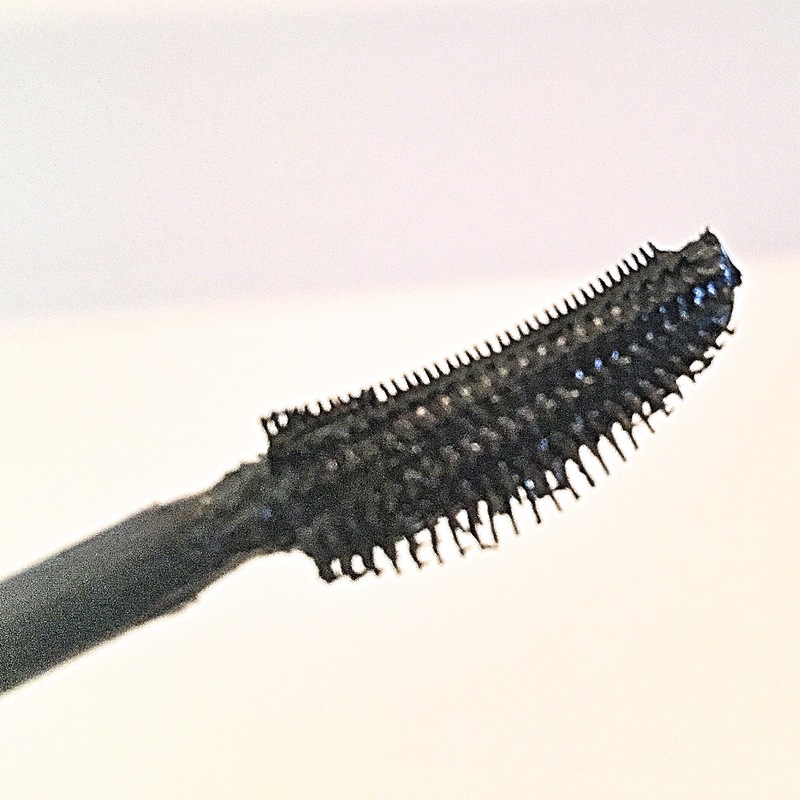 Way back in September 2016, I published a drug store haul post and this mascara was included. I put it in a box of products to try and unearthed it about a month ago, figuring I should give it a go. Well boy am I glad I did!!! Fun fact: This mascara was also the official mascara of London Fashion Week. First of all, the brush is pretty darn skookum. The curved shape makes it possible to apply from root to tip and the bristle layers grab all the lashes and lengthen them. The formula is also really smooth, glides on well, and it can be layered. Plus, it feels really leightweight on my eyelashes. Over the course of the day, it does not smudge, flake, or transfer to my undereyes, not even if I accidentally forget to take my makeup off at night and end up sleeping with it on. It still looks just as good the next day. I wouldn’t recommend that, but it’s a good test of how durable the product is. The only negative comment I have about this mascara is that it is extremely hard to remove completely. I typically use Clinique’s Take the Day Off Makeup Remover for Lids, Lashes, and Lips, and maybe another remover works better, but I find I can only get the surface product off, and I wake up the next morning with goopy remnants on my lashes that crumble off throughout the following day. Even using more remover does not seem to do much. Let me know in the comments if any of you have used this mascara and have a great technique for getting it off because it makes my lashes look amazing and I want to keep using it. The jury is still out regarding whether this mascara has overtaken Clinique’s High Impact Mascara as my favourite mascara, but it is definitely a good contender for that title in my makeup bag. Have you tried this product before??? What did you think of it??? It feels like it has been so long since Clinique last came out with a bonus, so I was really excited to head down to my local mall and stock up on all my favourite products. To qualify for this bonus, I picked up a Pretty Easy Liquid Eyelining Pen, which I absolutely adore and reviewed here, and a Long Last Soft Matte Lipstick in the shade Matte Plum that I reviewed here way back in 2015. 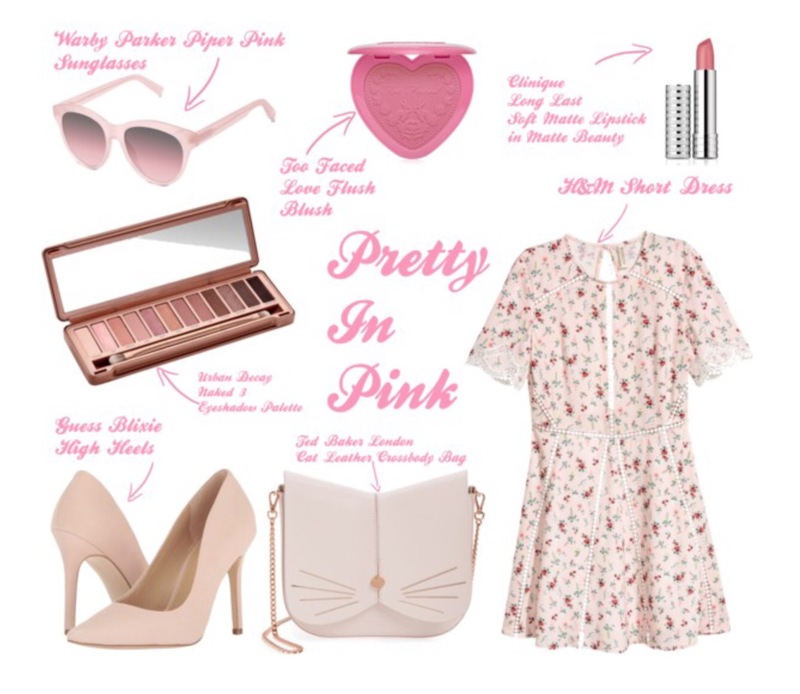 The colour collection choices available for this bonus were Spring Pinks and Spring Nudes, which have different shades of eyeshadow, blush, and lipstick. I went with the pinks, which included the lipstick shade Ginger Flower, the Like Milk eyeshadow duo, and Sunset Glow blush. 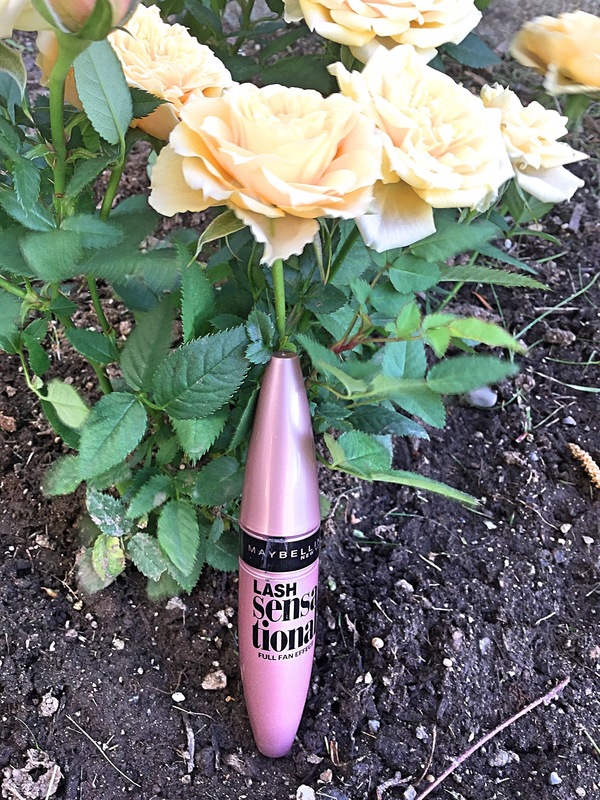 The Chubby Lash Fattening Mascara is a new addition to the bonus and, while I love the High Impact Volume Mascara that is usually included, I am really looking forward to trying out this formula and brush. I have also read raving reviews of the Moisture Surge Extended Thirst Relief, and with summer fast-approaching, my skin will need all the hydration it can get. 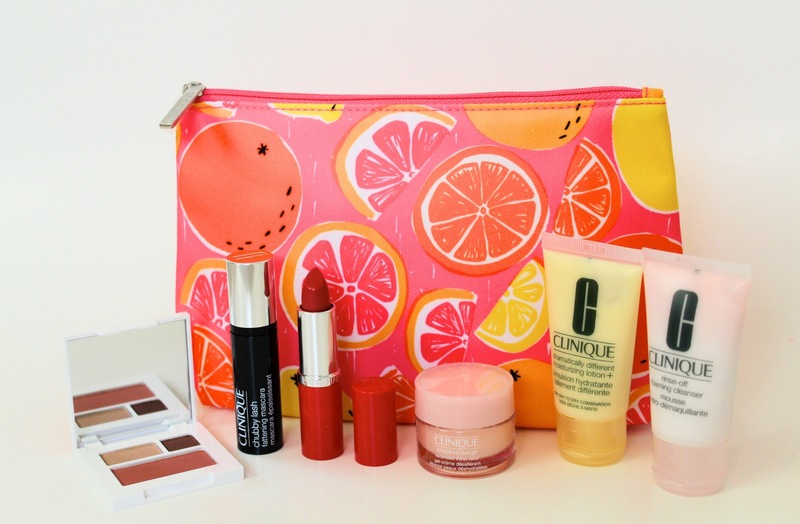 Finally, the cosmetics bag is such a vibrant shade of pink and the citrus fruit slices make it perfect for summer. I think I am going to use it to organzize my sun products so that I can just toss it in a tote bag for a day at the beach.